If you dream of becoming the next great soccer player, you have to work hard and put a lot of effort in your training. Obviously, this is easier said than done. Training with a team is extremely useful, but you need more practice if you want to become one of the best, most valuable players on your team. That is why you may want to start training on your own. While this may seem difficult, if done properly, it is well worth the effort. The best part about solo training sessions is that they are much cheaper than group sessions. 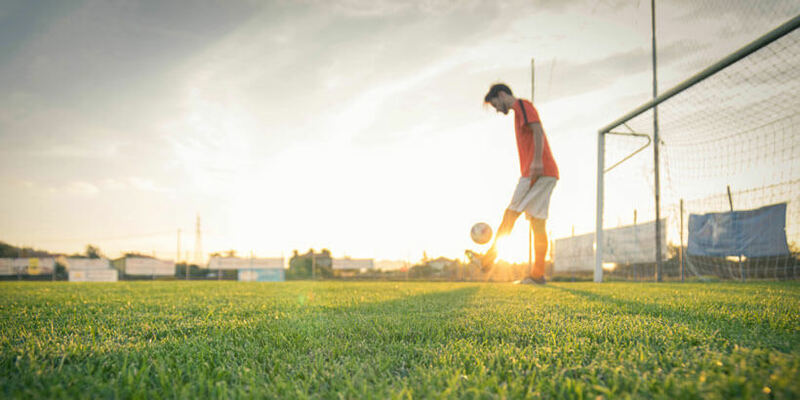 To train soccer alone, all you basically need is a few soccer balls and some sort of a goal (it doesn’t have to be a real one!). Pylons will also come in pretty handy. That’s all the equipment you need to start training on your own, so find a field, a yard, a meadow, whatever is in your neighborhood and just start. Passing, dribbling, shooting, everything is important, so you need to work on each of these skills. Luckily, you can do it without anyone’s help. You want to know how to improve your dribbling skills? Use cones, rocks, and water bottles as hurdles. Line them diagonally or randomly and practice running in between. Switch the direction, add some turnovers, change your foot. This can boost your ball control, touch, and precision. Use a goal (again, it doesn’t even have to be a proper one) for your shooting exercises. Your striking precision can skyrocket if you train regularly and sharpen your shots. Try shooting from different distances so you can measure the strength you need to score a goal and not send the ball over the goal. It is possible to do most soccer exercises without any assistance whatsoever. However, if you want to boost your first touch and passing skills, you definitely need a partner. Luckily, walls are perfect for that. Work on shooting from different angles and at different speeds. A wall will ricochet the ball right back at you, so you can practice receiving and controlling the ball, no matter how hard or fast it comes your way. For some interesting ideas for wall exercises, try out Wall Work Warrior from Renegade Soccer Training. Professional soccer players pay close attention to their strength, health, and fitness. So, you may want to eat a healthier diet and incorporate full-body workouts in your schedule. The gym is your friend, so use it to build a body that can endure a long game, strong opponents or exhausting drills. Every hard-working student needs a wise, experienced teacher. Fortunately, there are many professional coaches that can provide you with excellent advice. The best part? You can learn from famous coaches without leaving your home. 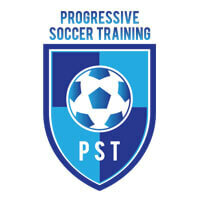 Nowadays, you can find great soccer training programs that offer special programs for attackers, goalkeepers or girls. Before you decide to purchase a program online, make sure you know what you need exactly. If you’re not sure, check out our advice on how to choose the best soccer training program.